…when something captured my special attention. In the corner of the porch floor there were…droppings. You know, ah, well, poo bits. But the bits were unusual. There were not rabbit bits (the neighborhood has many wild rabbits). Nor cat bits. Or raccoon bits. I would never have thought that I would wonder about…bits. As I stood though, I pondered. What kind of creature did these bits come from? And why were they concentrated on the corner of the porch floor? It seemed rather a curious place to, ah, deposit bits. I stared at the bit site. Then a thought occurred to me. Could the bits have come from…up? So, without thinking, I looked up. The porch is inset into the body of the house, and has three walls and a beadboard ceiling. At first I did not see anything. Then…then…I thought: What is that in the upper corner? WHAT IS THAT? Zounds! It be a bat! A BAT! A BAT!!!!!!!!!!!! 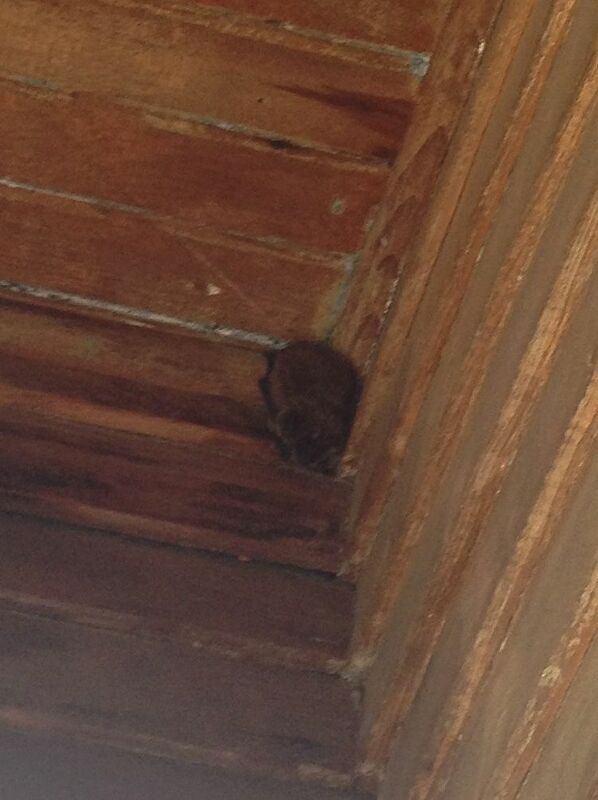 A bat has moved to the Cross House! Well, I was actually quite excited, mostly, because I had this vauge recollection that bats eat mosquitoes. And there are fewer things I loath more than mosquitoes! So, I was THRILLED at the new resident of the Cross House! Welcome! Welcome! But then I was quite vexed by a thought: Hey! Where is the Batmobile? The other day I realized that the bat was gone. I felt, oddly, quite sad, and hope she/he is OK.
2 Responses to Zounds! Batman moves to the Cross House! 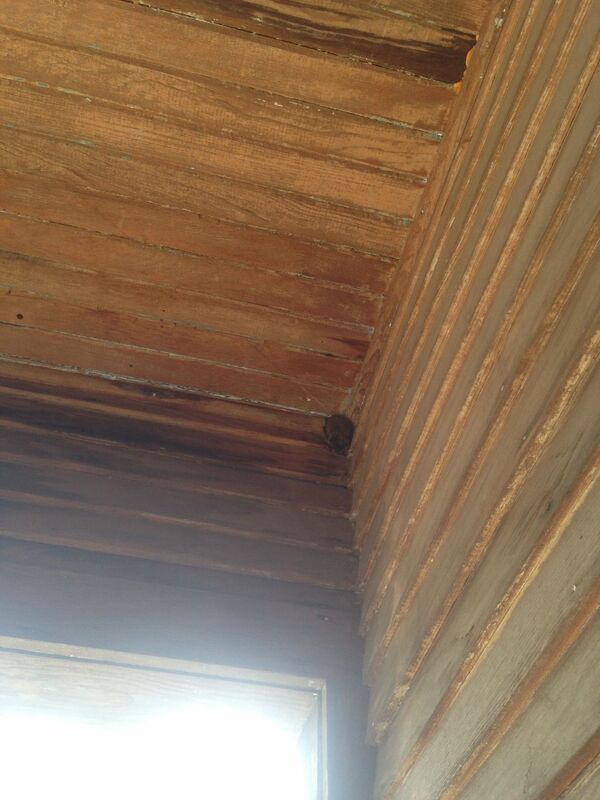 We have bats too. They are a part of natures balance. We even have bat houses for them.